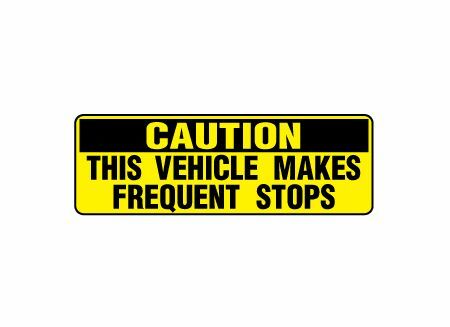 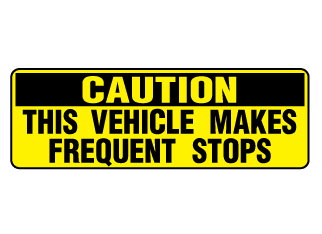 CODE: Magnetic Frequent Stops 6" x 18"
Get this 6"h x 18"w quality magnetic sign and protect your vehicle from careless drivers not paying attention to your frequent stops. 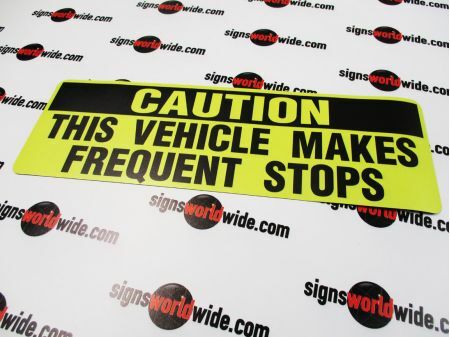 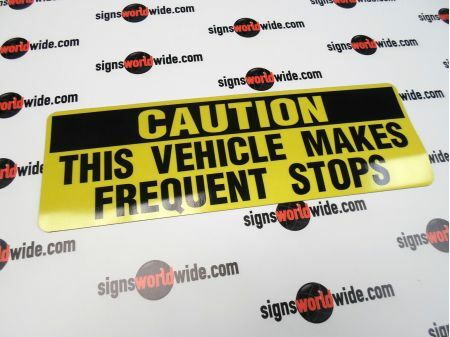 This eye-catching yellow and black magnet is available with laminated and reflective options for extra durability and even better visibility at night. 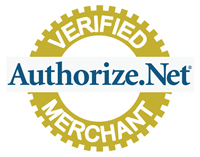 Quantity discounts are available for those purchasing for fleets.